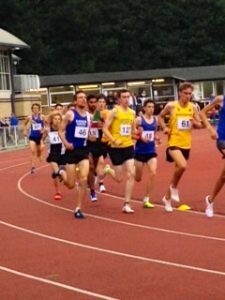 The penultimate Fixture in this years Grand Prix Series held at Trafford saw Blackburn Harriers athletes posting new personal best times. 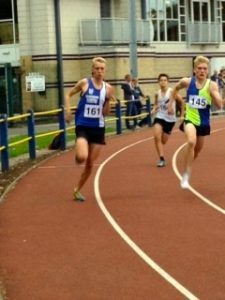 Joe Gebbie, Nick Smith, Amy Davies and Eleesha Charnley ran the 800m whilst Tim Raynes took on the 3000m. 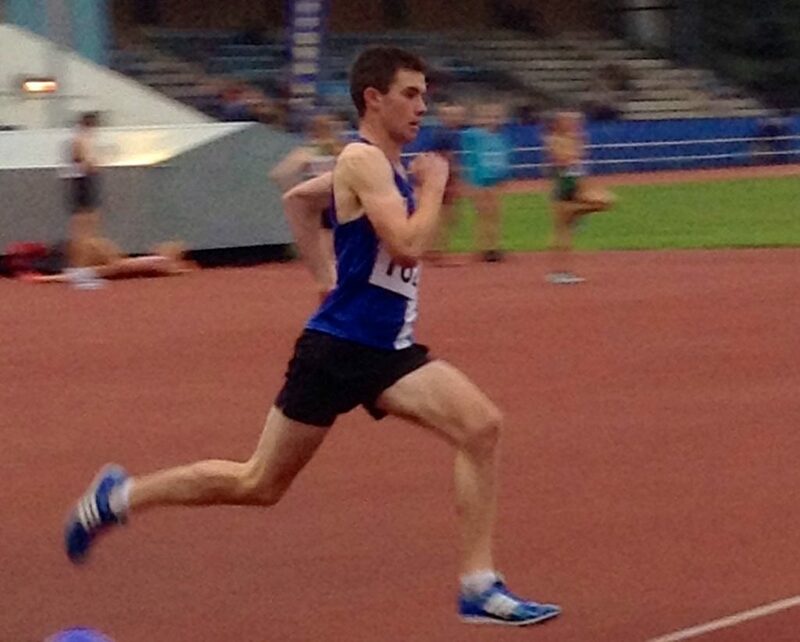 First year in the U20’s has seen Joe Gebbie open up 2018 with an 800m time of 2.06.86 which he cut down to a new personal best time of 2.00.29 at Trafford as he finished 3rd in his 800m Heat – good chance of a sub 2 minute clocking before the end of the season. 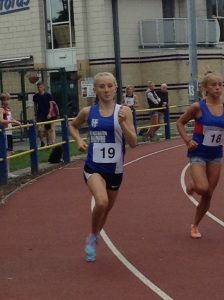 U17 Amy Davies had posted a seasons best of 2.30.54 for 800m at the June Trafford meeting and went into the race with a personal best set in 2017 of 2.28.3. In placing 2nd in her 800m Heat with a time of 2.25.31 she set a new PB by three seconds. 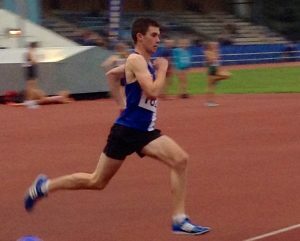 The third new PB of the night was run by Nicholas Smith, who up until this season hadn’t run the 800m. 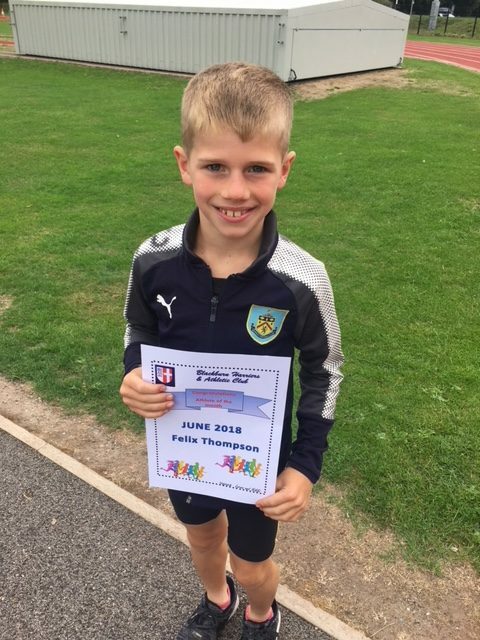 His first of only three 800m races saw him clock 2.12.50 which he reduced by three seconds placing 4th in his 800m Heat with a time of 2.09.51. 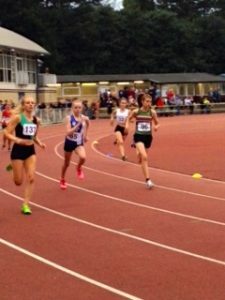 U15 Eleesha Charnley came home in 8th spot, running a time of 2.25.52 in her 800m Heat whilst Senior Tim Raynes ran the 3000m ‘A’ Race featuring twenty five athletes as he finished 3rd in 8.40.40 – the race being won in a time of 8.33.97. 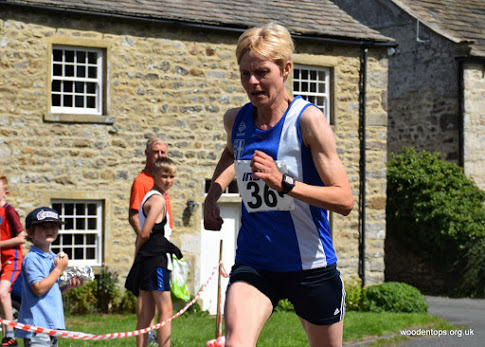 Pauline Powell continued her good form coming home in 10th place overall, 3rd woman and 1st V45 clocking a time of 24.12 behind Rachel Friend and Helen Glover. Speaking to the Harriers after the Race Pauline said that she “really enjoyed the race it was an undulating 4 mile course, i felt good but could tell i was lacking fast races! It was a good race and finished 24 secs behind the winner Helen Glover”. 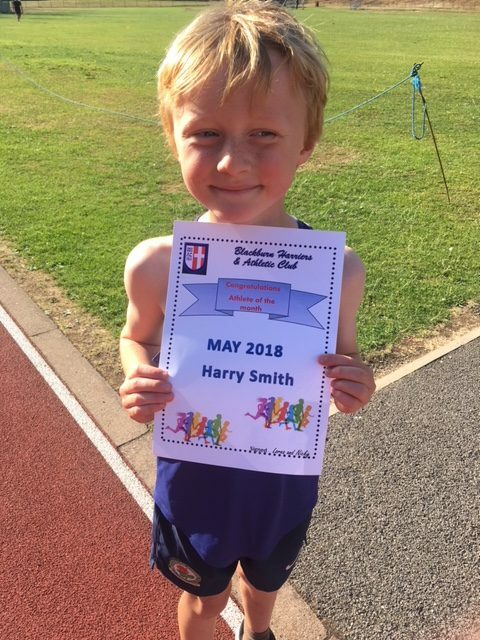 At the Harriers there is a Junior Endurance Group that meets on Tuesdays and Thursdays. Coaches Lorna Sharp and Nikki Hartley run the Group and have introduced an award each month – ‘Athlete of the Month’. 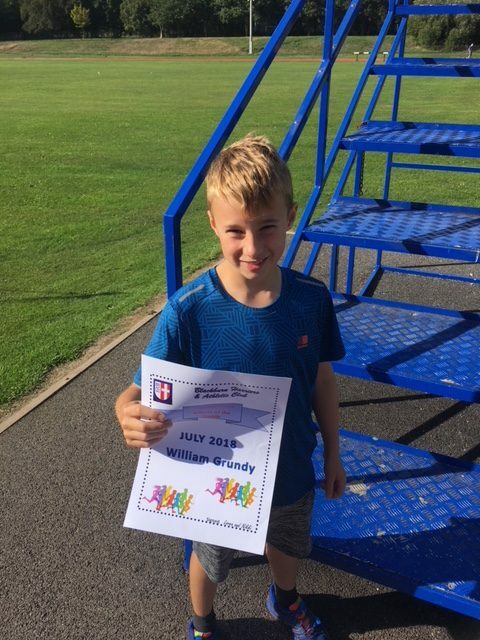 This award is given to a young runner who has shown regular attendance, enthusiasm, displays good behaviour and listens to the Coaches, supports others in the Group and looks to improve themselves.